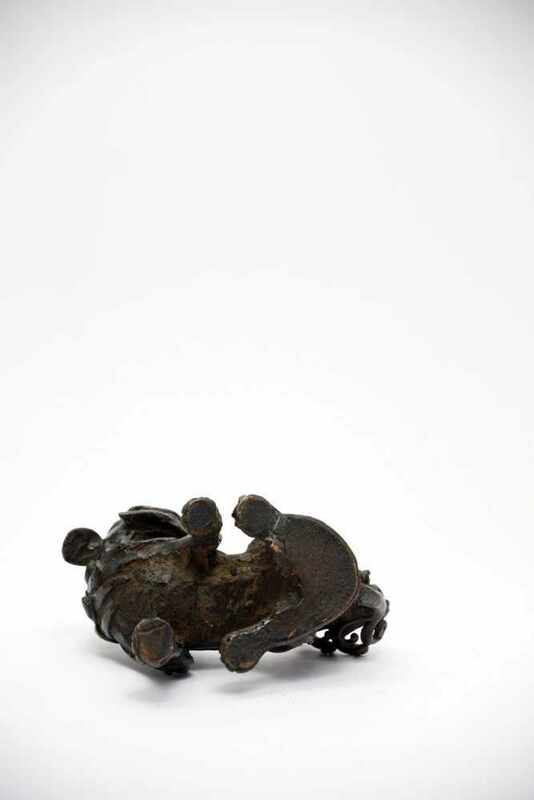 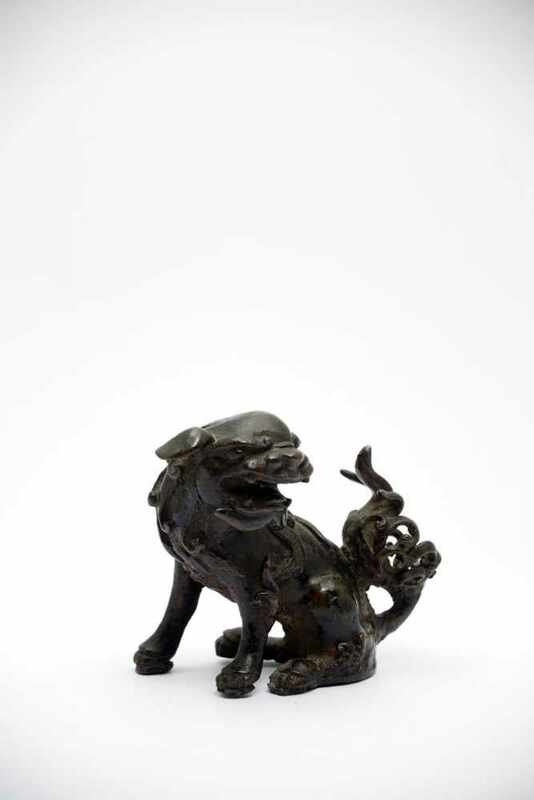 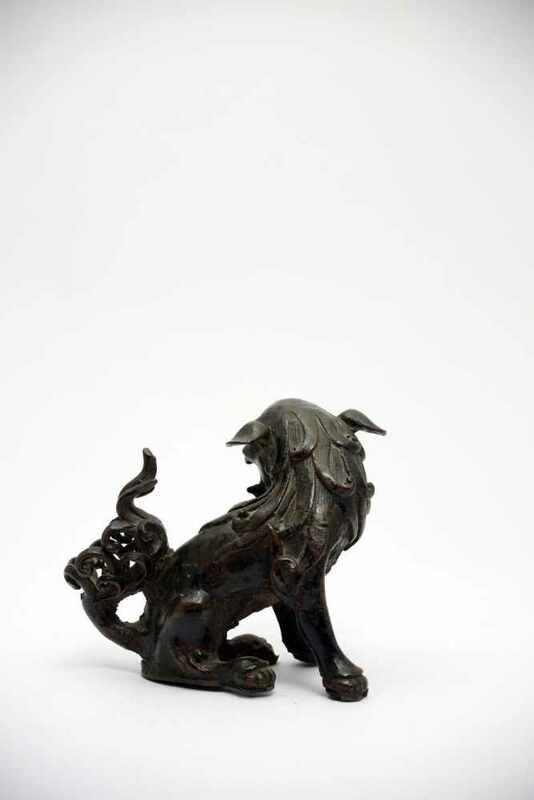 Fu-DogBronzeChina18th ctH: 9 cm Fu-Dogs are often situated at temple entrances as guardian lions. 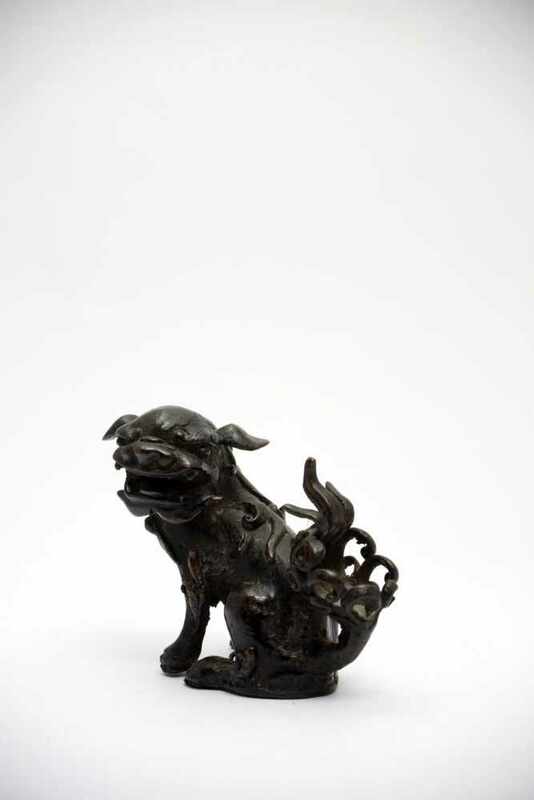 Fu-Dogs are often situated at temple entrances as guardian lions. 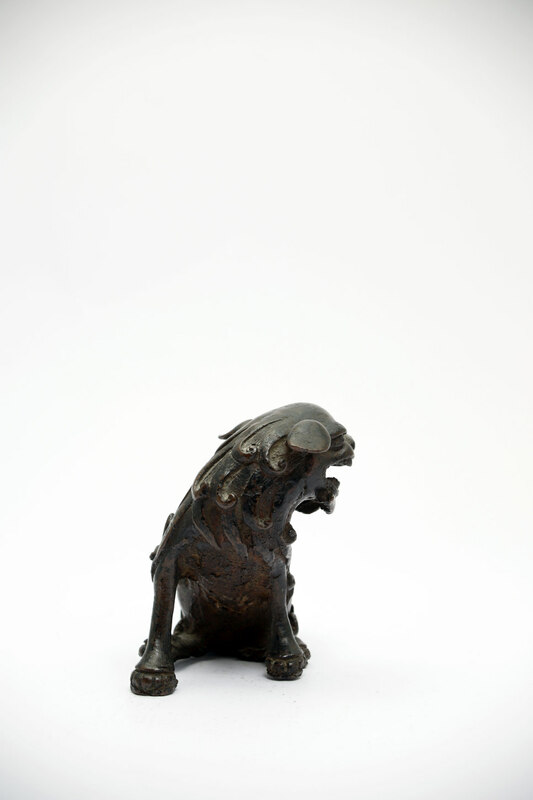 This one is shown seated, with a fierce expression and open mouth as if roaring.